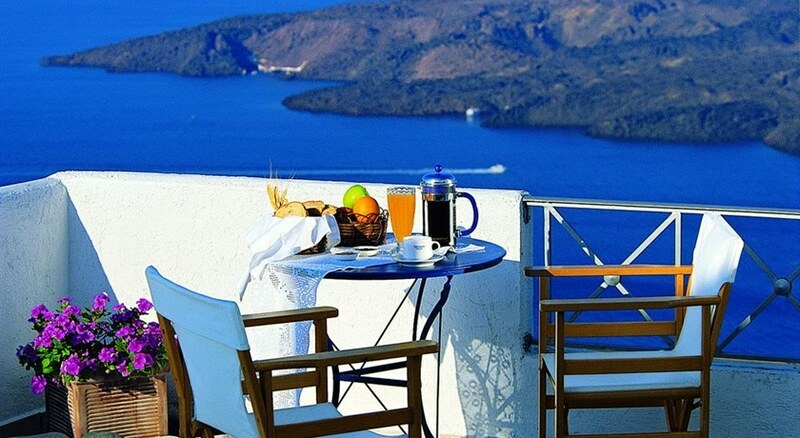 This hotel is located at the heart of the stunning island of Santorini. The hotel is located just a short distance away from the main attractions that this mesmerising island has to offer, including the captivating volcano. The hotel lies just 200 metres away from links to the public transport network. This mesmerising hotel beautifully reflects the natural beauty of the island in its design. The guest rooms are sumptuously designed, featuring refined elegance and simplistic luxury. The rooms are well equipped with modern amenities. Guests will be impressed by the seemingly boundless array of leisure, dining and recreational facilities that this wonderful hotel has to offer. 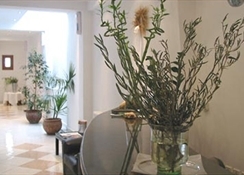 The luxury hotel comprises a total of 9 rooms spread over 2 floors. Guests are invited into the foyer with 24-hour reception desk, safes and a lounge. Culinary options include an attractive café, 2 bars, a restaurant and a tavern with an outdoor terrace and views over the bay. The hotel also has a small supermarket on offer. The comfortable rooms come with an en suite bathroom with shower and hairdryer, a direct dial telephone, satellite/ cable TV, a radio and a minibar. A hire safe, air conditioning, central heating and a balcony are also provided in all accommodation units as standard. 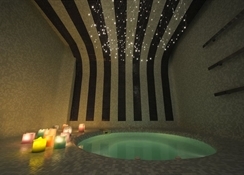 There are 2 swimming pools, a separate children's pool and a Jacuzzi in the well-kept hotel grounds. Guests may also take advantage of the poolside snack bar and the sun loungers and parasols laid out ready for use. Sports enthusiasts may enjoy a game of tennis, basketball, 5-a-side football, beach volleyball, or billiards.